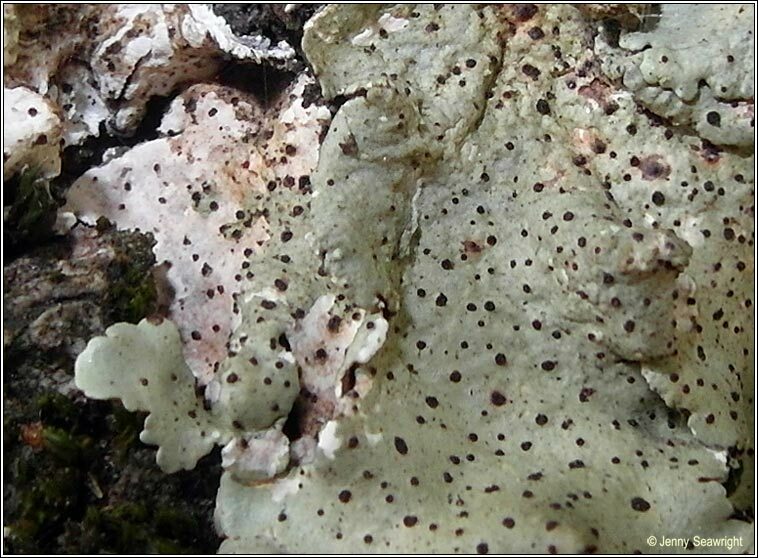 Parasitic on the thallus of Flavoparmelia caperata. Abundant superficial blackish pycnidia, apothecia rare, with black discs. 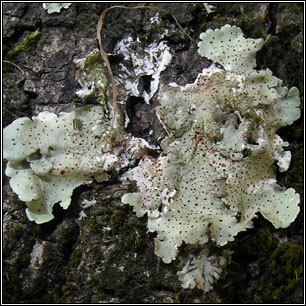 Also reported from other Parmeliods including Punctelia, Parmotrema and Flavopunctelia. 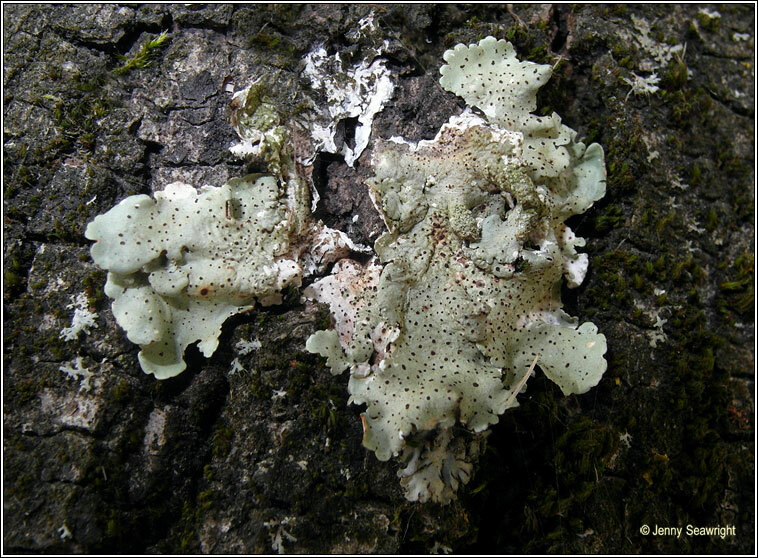 Vouauxiomyces truncatus is the anomorphic stage.